Company profile : Sinomag, s.r.o. Sinomag, s.r.o. 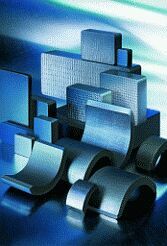 is a traditional producer of magnetic materials and ceramic permanent magnets. Total annual production is:1200 tons (in 2002 the total capacity was increased to 1,800 tons).